With a sharp knife score the skin of filets in a crosshatch pattern. Pat filets with paper towel until completely dry.Refrigerate until time to cook.Preheat large sauté pan on medium-high heat.Lightly dust the skin side of filets with corn starch and season with sea salt and fresh ground pepper to taste.Add oil to coat the bottom of the heated pan.Carefully lay the filets in the pan skin side down.Cook for 3 to 5 minutes on both sides until skin is crispy and filets are done.Cooking time will vary depending on thickness of filets.Keeping filets skin side up, transfer to platter. Place mirin rice wine, passion fruit, ginger and tumeric in heavy medium-sized saucepan.Boil approximately 6 minutes until reduced to 1/4 cup.Add white wine and boil approximately 6 minutes until reduced to 1/4 cup.Add cream and coconut milk and bring to a boil.Reduce heat to medium and simmer sauce approximately 12 minutes until slightly thickened, stirring occasionally.Stir in curry paste.Season the sauce to taste with sea salt and fresh ground pepper.Strain through a fine mesh sieve.Set aside. Try this tasty meal out! You won’t regret it! 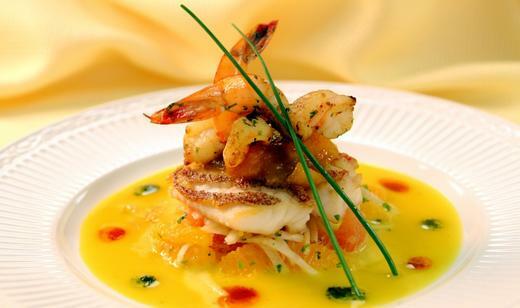 Want to catch your own fish to make this entrée? 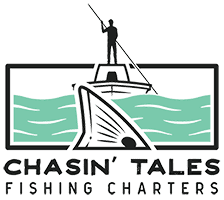 Come join Captain Geoff of Chasin’ Tales for one of his Naples fishing charters. All skill levels are welcomed! To book a trip, call 239-216-0378 or click here for more information.